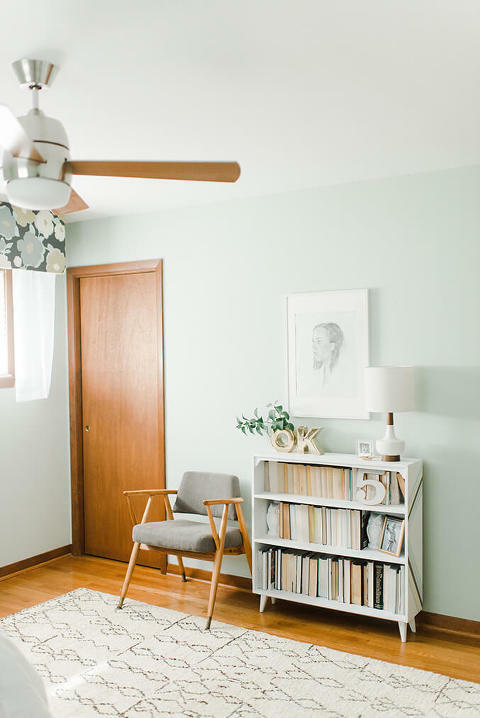 We’ve all seen it: bookshelves filled with backwards books all in the name of calming down a room’s color scheme. 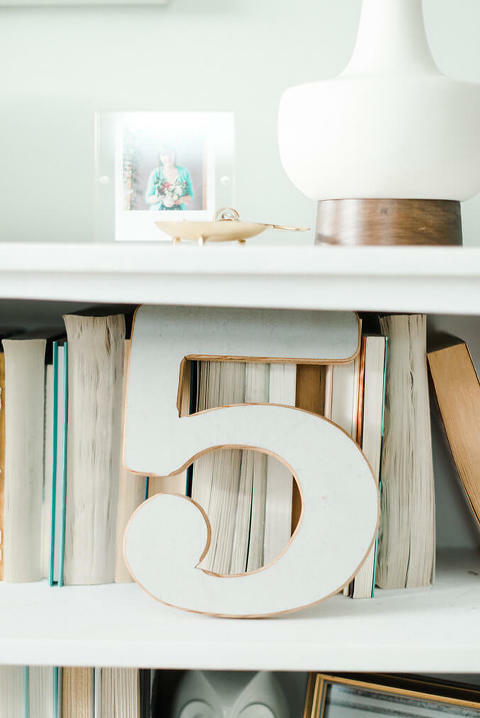 But is it really a practical way to style your shelves? It seems like every time I post a photo of the bookshelves in our bedroom—which consequently (or maybe not so much) sport this backward book look—people always comment about how impractical it must be and they wonder out loud why I would go to all the trouble of flipping my books around. Well, I thought it was high time to take a small stand and explain my real thoughts behind the styling idea, so feel free to read on to find out why I personally do it! Of course, the first question is always, “How do you find your books? !” The answer isn’t magical. It probably does admittedly take me an extra couple of seconds to find the exact book I’m looking for, but the fact is that I rarely need to grab a certain book within moments of thinking of it. When I decide to read, it’s usually because I have an extra hour or two on my hands, so I’m perfectly fine with the idea of plopping myself in front of the shelf in our bedroom to rifle through my books in order to find just the right one. Right before we moved, I actually purged the majority of my book collection, keeping only the titles that I knew I would want to read over and over again. Because of that, the books on our shelf are like good old friends—I already know them backwards and forwards, including (more often than not) their shapes, sizes, and the colors of their covers. So, I think having a good familiarity with your set of books also makes this “backwards books” set-up much easier to live with. This look is definitely not for everyone though. 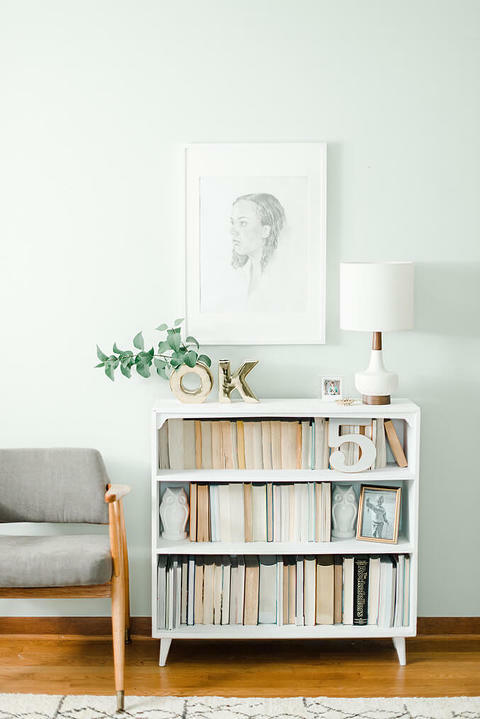 If you have a massive collection of books, read often, or don’t want to waste time searching for a specific title, I totally get why you’d find it ridiculous to style your shelves this way. 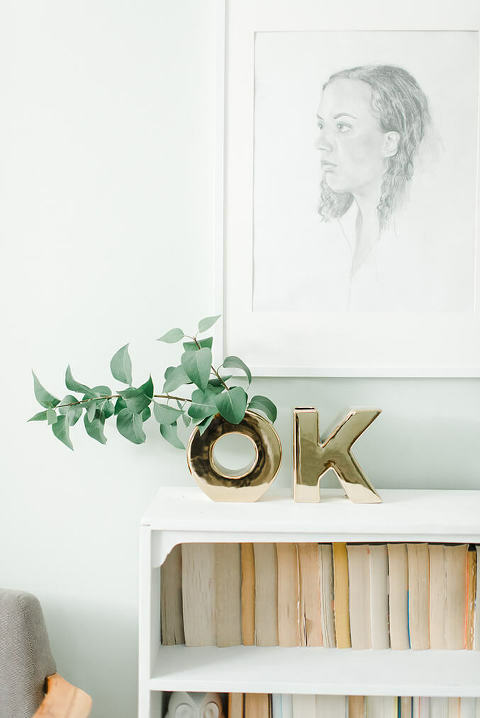 But, that said, my neutrals-loving heart needed my books to calm their colors down, so this styled arrangement is ideal for me. To each her own, am I right?! What are your thoughts on backwards books? I’d love for you to leave a comment below.